Hey there fellas! AndresGP here, the retro gamer extraordinaire and watermelon lover. A little about myself: I love old school video games and everything relating to the 80s and 90s. I was also a former leader of TNT and NiT, so I have had some clan experiences in the past. Fun times they be, haha. Oh yes, and I have the random tendency to say a corny pun or two every once in a while. Just wanted to drop in and say hi. You guys got a fancy site goin' on and everything, heh. Hope to see everyone on the battlefield again! Welcome! 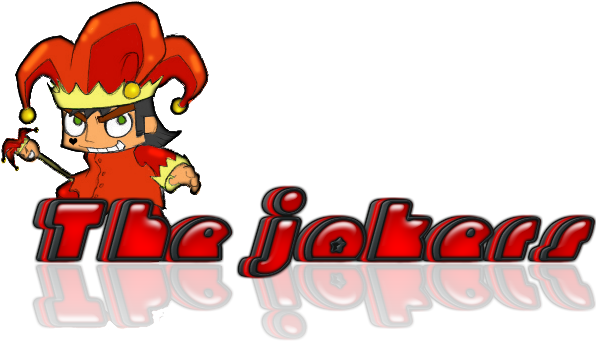 <3 How have you not been on the Joker forum before? LOL. Well, thanks for joining us now! Take a look around, add your thoughts, bump old threads, join us in chat. I look forward to reading your opinions! 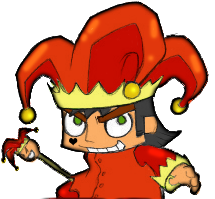 I will be in Titania tonight 7 pm EST, as well as many other Jokers! Hey Andres good to see you here! Good to see ya Andres. Please post around, and join us in the chat. Welcome Andres!!! Glad to see you here! Hey Andres! Awesome, I like retro games too! Are you a collector? @munapoolo: Whenever I'm not rescuing in Fat Princess, I'm usually rescuing in other games (Mainly, the Super Mario games). I've been rescuing princesses for years really, haha.